I ask myself that about three times a day, especially given the meaningful gem currently imprisoned on my computer. But I’ll save you that rant. 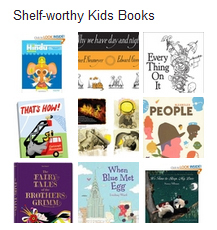 The truth is, there are plenty of shelf-worthy children’s books, out there. You just need to work a little harder to find them. I’ll keep building this list as I discover more, so keep checking back. And if you have your own favorites, by all means, share them! I’d be happy to add them to the list (and enjoy them with my daughter). There’s a great book called “Press Here.” Doesn’t have much of a storyline, but it’s very fun and interactive. I’m excited for Faris to get old enough to enjoy it!